New Girl (R) is an American sitcom television series. Jessica Day is an offbeat and adorable girl in her late 20s who, after a bad breakup, moves in with three single guys. Goofy, positive, vulnerable and honest to a fault, Jess has faith in people, even when she shouldn’t. Although she’s dorky and awkward, she’s comfortable in her own skin. 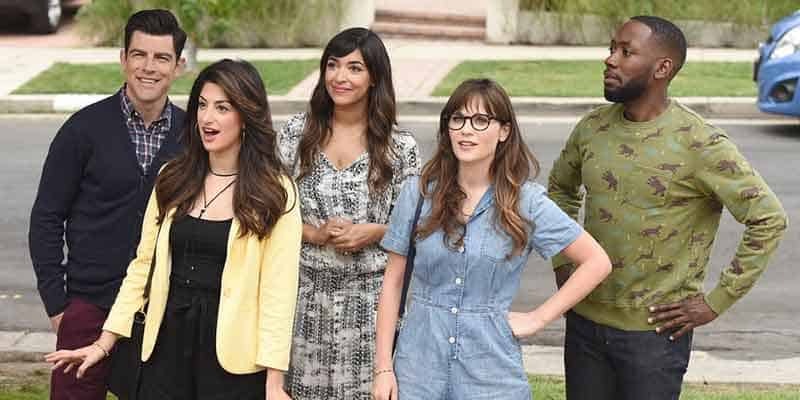 The show combines comedy and drama elements as the characters, who are in their early thirties, deal with maturing relationships and career choices. 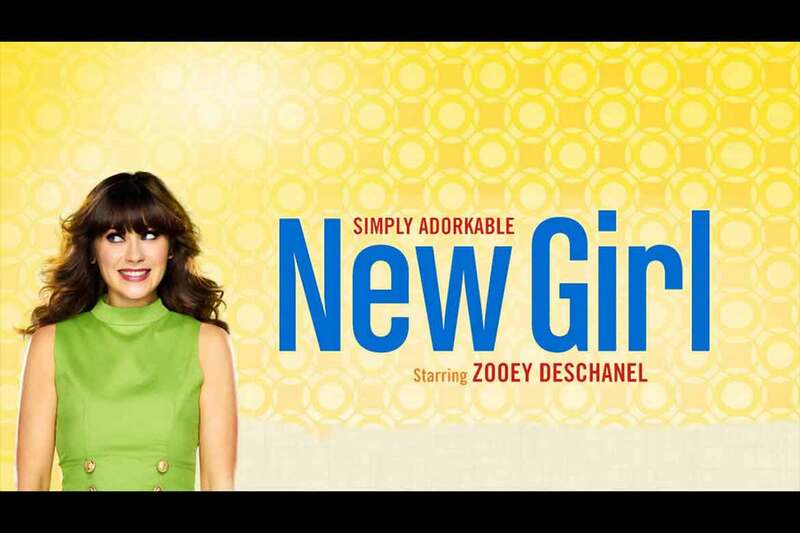 The show’s first marketing push was on Zooey Deschanel and the promotional tagline “Simply Adorkable”, a portmanteau of “adorable” and “dork”. There are several different ways to watch New Girl without cable. This TV show is aired on FOX. To find which online TV streaming services have FOX as part of their channel lineup you can read our streaming services review. You can use a streaming service to watch on-demand or on live television. It is also possible to buy on Apple iTunes, Google Play Movies, Vudu, Amazon Instant Video, PlayStation, Microsoft Store, FandangoNOW as a download or rent it on the Microsoft Store online. Below are our top choices to watch New Girl. Sling TV is a live TV streaming service. You can watch this show live as it airs or you can watch it on-demand. FOX comes standard in most viewing markets on the base channel package which starts at $25/month. The good news is that Sling TV regularly offers free devices if you prepay for a few months. To learn more about this service read our Sling TV review. fuboTV is a live TV streaming service. fuboTV was specifically designed for sports cord cutters but is actually really great for network television series too. FOX comes standard in most viewing markets on the base channel package which starts at $39.99/month and also includes 84 channels. fuboTV has one of the most robust channel line-ups. To learn more about this service read our fuboTV review. DIRECTV NOW is a live TV streaming service. Subscribers of the base package get access to FOX in most markets. 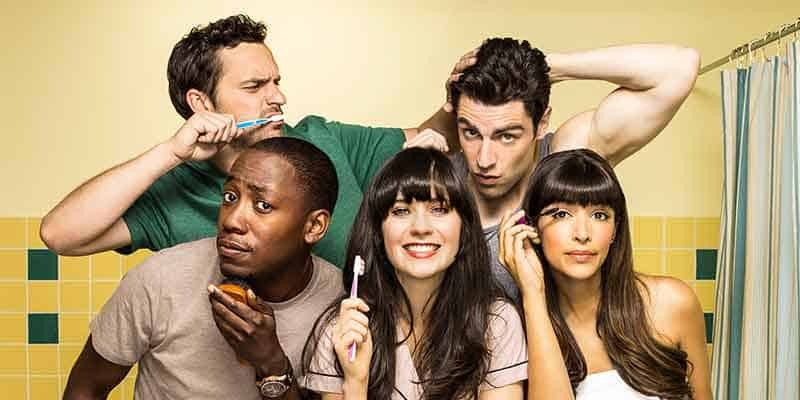 With this streaming service, you can watch New Girl live as it airs on TV. Plans start at $40/month and include 60+ channels. There are no annual contracts or cumbersome satellite dishes. To learn more about this service read our DIRECTV NOW review. This TV show can be found on just about any streaming device on the market. You can stream on a tablet, smart phone, gaming console, desktop, or a streaming device such as a Roku, Apple TV, Chromecast, AirTV, Amazon Fire TV, and more. Here are some of the top devices that can be used to access one of the services that carry New Girl. To learn more click on the icons below or read our streaming device guide. New Girl can be streamed using a VPN. A VPN can unlock content from services such as Netflix and fuboTV. You can bypass blackout restrictions and geo-blocking. A VPN will increase your online security and protect your online devices. This is very useful in the United States but is even more useful internationally. By using a VPN you can view this TV show while in another country. Not every VPN is created equally so we have chosen a few that we believe to be the best VPNs to pair with streaming services such as: ExpressVPN, NordVPN, and CyberGhost VPN.